Designed with today’s multiscreen video consumer in mind, SpotX’s advanced over-the-top advertising capabilities allow publishers to monetize high-value content across connected TVs, gaming consoles, and other OTT devices. Execute frame-accurate ad insertion within OTT streams by leveraging SpotX certified dynamic ad insertion vendor partners. Sequence multiple ad elements together and play them within a single ad break. 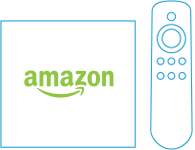 SpotX supports monetization options for leading streaming devices worldwide. 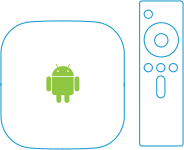 Integrated with a robust stack of connected devices, including Amazon Fire, Apple TV, and Android TV. Leverage enhanced audience data to increase the value of your inventory for buyers. Delight viewers with premium content in a streamlined, uncluttered environment. Leverage the SpotX Demand Facilitation Team to connect with top buyers in OTT. Manage and monetize your complete catalog of video content in one platform with full support for live, linear, and VOD environments. Showcase your offerings alongside broadcast-quality content for a positive, lean-back advertising experience. Advertisements are viewable by default with full-screen placements that put your message front and center. OTT returns the highest completed view rate of any video format at more than 90 percent. Connect with high-value consumers including cord-cutters and cord-nevers who may not be accessible through traditional TV.